Happy New Year! 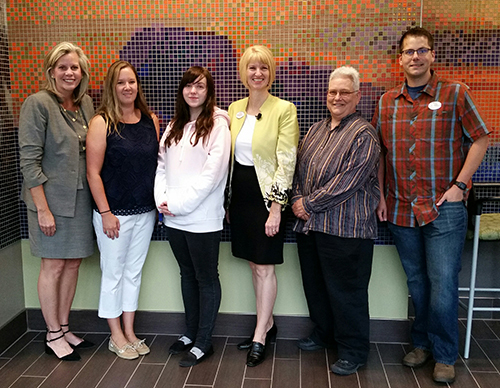 As the new term begins, I want to give you an update on the Center’s happenings. We’ve joined Twitter! Please find us @CommCollSurveys. In February, the Center will release a report that explores data focused on tribal community college students. Stay tuned for this report and the fascinating focus group clips that will be on the Center’s YouTube channel. If you will be attending Achieving the Dream’s DREAM conference, join us for a session that will share findings from the report and hear from tribal community college leaders. We hope to see you there. As spring conference season kicks off, I hope to see you at one of the Center sessions. I look forward to hearing what your college is doing to improve the lives of students in ensuring that they are successful. See you soon. Academic mindset encompasses the beliefs that individuals have about the way learning and intelligence work. While there is a great deal of research about mindset and its impact on the way people learn, little work has been done on mindset in community colleges. To delve more deeply into the topic of academic mindset in community colleges, the Center added additional items to the 2018 administration of CCSSE. Center staff also conducted focus groups with students and faculty/staff around this topic. In April, the Center will release a national report, A Mind at Work: Maximizing the Relationship Between Mindset and Student Success, highlighting the findings from these explorations. The report will explore, among other things, how a productive academic mindset is related to engagement and GPA. The report release will include two focus group discussion guides that can be used to capture student and faculty/staff voices around this topic. Come engage with Center staff as we release the report at AACC’s Annual Convention in Orlando. The value of conducting CCSSE and SENSE surveys is well known to community college administrators, as well as researchers and assessment staff. However, faculty members often find it challenging to give up the majority of a class period to allow students to complete these surveys. For them, the value of these surveys is not obvious unless college leadership connects them in a meaningful way to the data collected. Simply mailing out reports does not guarantee employee engagement in discussions about the survey results and how they can be used to improve student success. 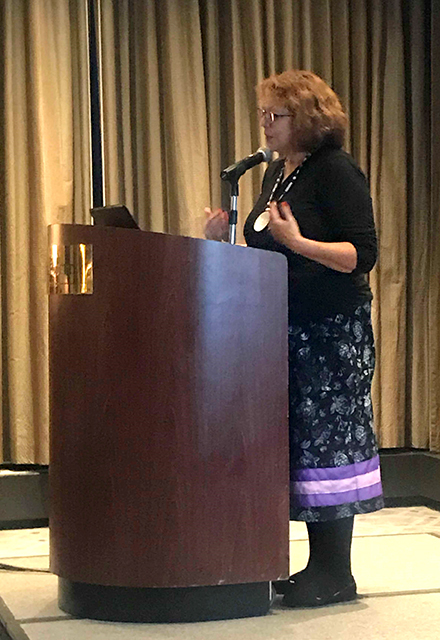 Looking for a way to truly create engagement with CCSSE results, RCC President Cathy Kemper-Pelle shared select data with the entire college at the fall in-service keynote using a “Family Feud” gameshow approach. The in-service location did not support technology for an electronic polling app; however, the low tech approach was very successful. Employees were seated eight per table, and each table had four large cardstock sheets individually labeled A, B, C, and D. Questions and four possible answers were projected onto screens. Each table discussed the posted question and selected an answer. At the designated time, each table held up the card with the letter of its selected answer. The correct answer was revealed with “Survey Says!” and College staff were on hand with buckets of candy to reward tables with the correct answer. A few key data points from the survey were shared, and there was a follow-up session after lunch with more in-depth results for those interested in discussing the student responses further. 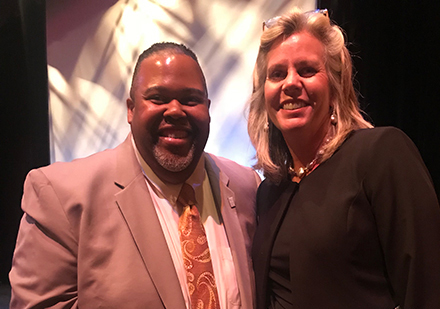 While the discussions during the keynote were fruitful, we learned that it might be beneficial to have faculty and student services employees intermingled to deepen the conversations. Ninety-seven percent of Northwest College’s students reported on CCSSE 2017 that they would recommend the college to a friend or family member. 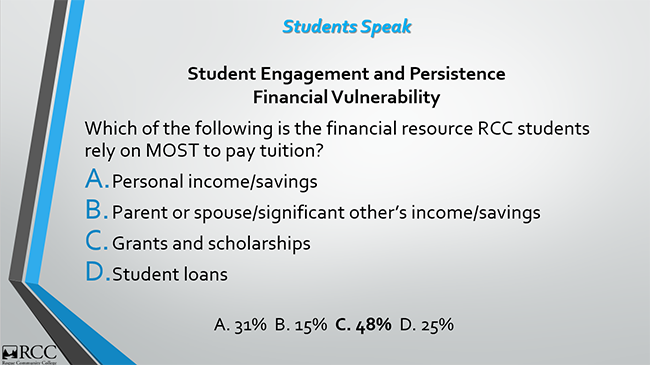 This percentage is higher than the aggregate cohort response or of the aggregate response of students from similarly-sized colleges. The college took the opportunity to share that data point, along with some other data that would be interesting to prospective students, on its website. The Center will host the 2019 Student Success Institute October 6–8, 2019, at the The St. Anthony Hotel in downtown San Antonio, Texas. 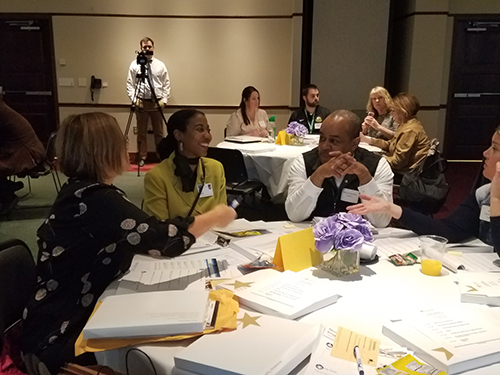 Participants will take advantage of expert guidance by the Institute’s Resident Faculty to explore how their CCSSE and/or SENSE data intersect with the guided pathways model in order to better understand student experiences and college completion. Register by April 30 to receive an early bird discount! If you have questions about the Institute, contact Mandi Mobley at mobley@cccse.org or 512-232-6458. 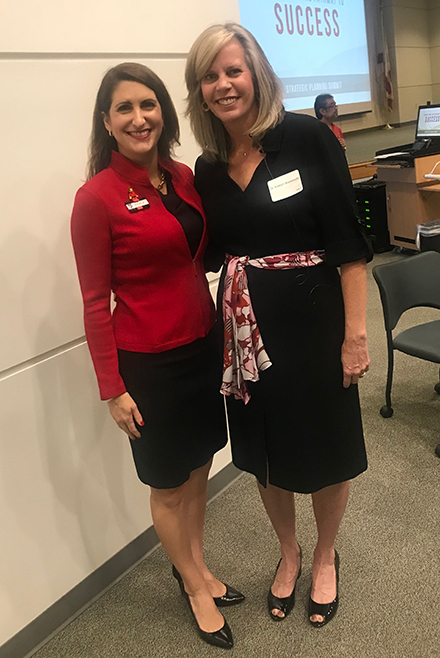 Over the past several years, Polk State College (FL) has implemented a number of innovative strategies to increase student engagement and success. After reviewing CCSSE and SENSE results, it became clear that guided pathways was the next step for the College. 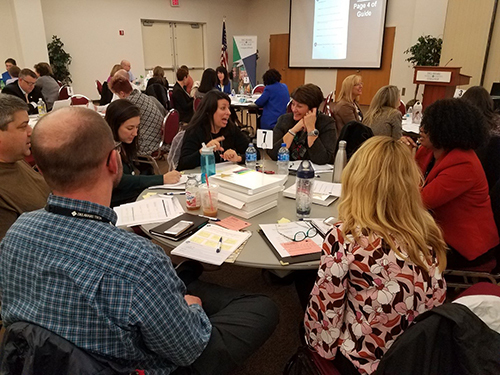 In order to jumpstart this work, a team consisting of faculty and administrators attended the Student Success Institute in November 2017. The Institute reinforced that students need support to navigate the challenging and sometimes confusing processes of educational planning and academic decision-making. The presentations and discussion groups at the Institute helped the team gain in-depth knowledge of the Guided Pathways model. 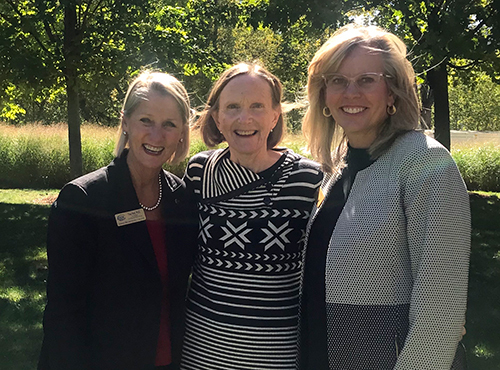 The support and resources provided by Institute faculty member Dr. Evelyn Waiwaiole helped the team think about how to implement this model at the College. Leading up to the Institute, the team completed a comprehensive review of its CCSSE and SENSE results as well as institutional data. The framework provided for this review challenged College stakeholders to think critically about data and how it can be used to enhance student success. It also provided an excellent model for reviewing data that has informed several other projects at the College. The Institute culminated in the completion of the Short-Term Action Plan. The Plan helped the team prioritize and focus on the steps needed to get started. It encouraged the team to address “low-hanging fruit” and achieve some pivotal early wins. The Plan outline prompted the team to think about various aspects of each of the steps identified, consider potential challenges, and identify necessary resources. The team was able to return to the College and immediately begin this important work. Upon completing the initial steps identified in the Short-Term Action Plan, the team used the same framework to develop a plan for the next phase of the project. 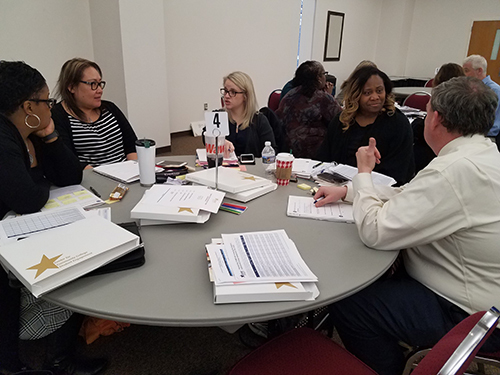 Currently, teams of faculty and student services professionals are working to develop Program Maps, organized around eight Pathways, to help guide students from intake to graduation. To date, Program Maps have been developed for over 40 transfer intents and degree and certificate programs. The information and resources provided at the Institute also led to the development of a new case-management advising model named Polk Advising, Career, and Transfer Services, or PACTS. The model is organized around five phases of the student lifecycle from on-boarding to graduation. It employs intentional, appreciative advising strategies in order to prepare students for transfer, employment, and/or continuing education. 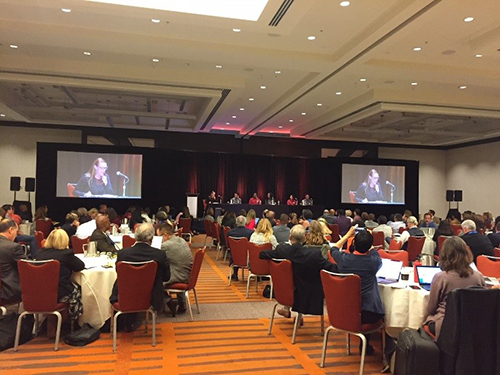 California Guided Pathways (CAGP) Institute #4—Redesigning Student Intake and Ongoing Student Support was held on September 6–8, 2018 in San Francisco, California. 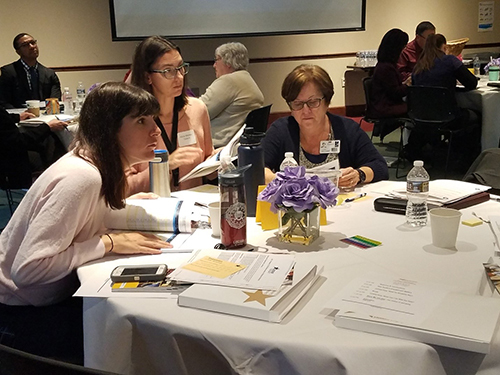 Teams from a selected group of 20 California community colleges along with partners, 10 coaches, and presenters totaled 186 participants, attending the 2.5 day institute. 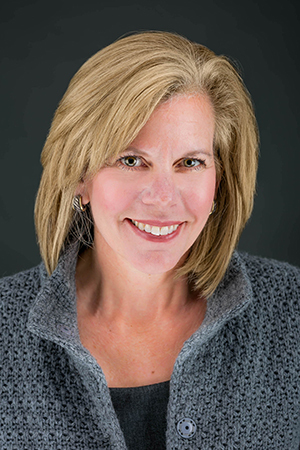 The Center is the lead partner in management of the CAGP Institute series and is the main contributor on the voice of student and faculty engagement in guided pathways integration. The Center has created Pathways tools (Toolkits and Modules) and will publish a national report on Guided Pathways in spring 2020. The CAGP grant is funded by the College Futures Foundation, Bill & Melinda Gates Foundation, The James Irvine Foundation, and The Teagle Foundation. CAGP Pathways Institute #5 will be held in Riverside, California, on January 31-February 2, 2019 and will focus on Ensuring Students are Learning and Progressing Along the Pathway. The Opening Plenary Session with a student panel from Skyline College. In fall 2018, Center staff facilitated focus groups with students and faculty/staff on the topic of academic mindset. The Center is currently writing a report on academic mindset and plans to release it in April 2019. Listen in for a preview of what students and faculty/staff are saying about their experiences related to academic mindset. To see video clips featuring other aspects of the community college student experience, visit the Center’s YouTube Channel. Sometimes the total count of respondents in an institution’s raw data file will differ from the numbers reported in institutional reports. Why is that? One reason may be due to the Center’s data cleaning process, in which certain records are excluded from the data used to create the main cohort data set. What follows is a discussion of what these exclusionary criteria are and why they are used. First and foremost, all students reporting their age as under 18 are automatically excluded from both the cohort data set and institutional raw data files. Records that are excluded from institutional reporting for other exclusionary criteria are included in the institutional raw data file, unlike the records for underage students. The survey data are weighted to account for a sampling bias inherent to the sampling process. (Read more about that here.) The weights are based on enrollment status, so if a student fails to respond to the enrollment item question, a weight value cannot be created for that record, and it is excluded from institutional reporting. The enrollment variable in both the Community College Survey of Student Engagement (CCSSE) and the Survey of Entering Student Engagement (SENSE) is Item 2, ENRLMENT. To avoid duplication, surveys from students who indicate that they have taken the survey in another class are also excluded. This is Item 3 (TAKEB4) in CCSSE and Item 1 (SRVAGAIN) in SENSE. 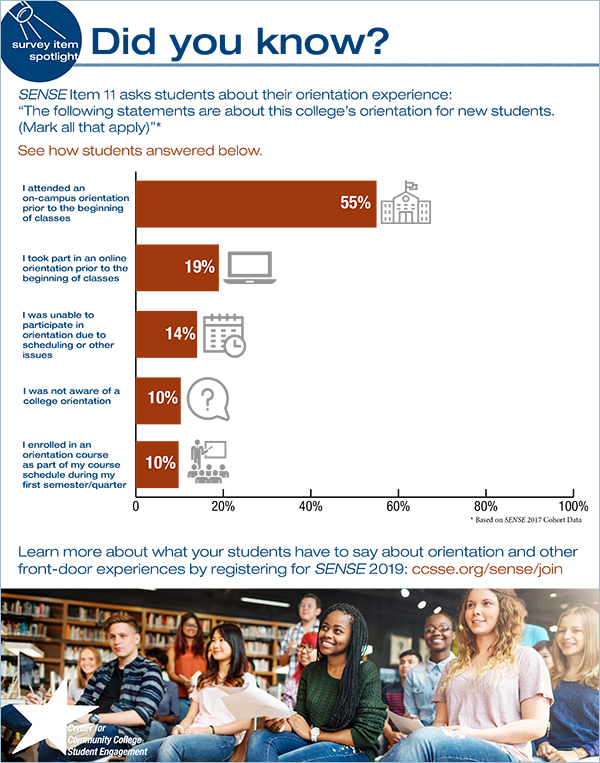 Finally, because SENSE is focused on the earliest student experiences, only students who respond that they are in their first semester/quarter (Item 6, TERMSENR) are included in the SENSE analysis data set. If you want to recreate the Center’s version of an analysis data set with your institutional raw data file, you also will need to exclude the records that meet these exclusionary criteria. An easy way to do this is to eliminate all records where the Center-created variable IWEIGHT is missing. If you have additional questions, contact data@cccse.org. The data at the core of Center work are available in the Community College Survey of Student Engagement (CCSSE) and Survey of Entering Student Engagement (SENSE) online reporting systems, which offer a wealth of college- and cohort-level survey results to help inform conversation, analyses, and institutional improvement efforts. In 2017, the Center released the updated CCSSE instrument and with it, updated reporting pages. While the Standard Reports page is the most popular feature of the online reporting system, institutions may not be aware of all that they can glean from their standard reports, much less the wide range of analysis tools available to help them delve into their data. Thus, the Center updated the online tutorials that help institutions navigate the online reporting system. The tutorials include a primer on navigating the online reporting system, a guide to interpreting Key Findings, an overview of the Benchmark, Means, and Frequency Reports, as well as information on generating various breakouts through the custom reports request system. The CCSSE tutorials are available here. SENSE tutorials are available here.